So a few questions beckon: is Spring beautiful? Hmm…. I guess so? Let’s ignore the allergies. Flowers are blooming, birds are singing, and people are out and about. There are Earth Day events, hikes aren’t as muddy, and farmers’ markets aren’t as difficult to wake up for. So, follow up question: when is Spring gone? Is it ever gone? What kind of silly question is that? Spring is gone once June 20th arrives, the date of the summer solstice, isn’t that obvious? That’s one way to answer the question, but I think spring is here to stay. Since temperatures are warming in most places, biological spring doesn’t always wait for equinoctial spring. For example, I am pretty sure the Gingko tree in my front yard budded a month early. Its long pliable branches went from thin skeletal fingers to being satiated with lime green buds over the course of a week and a half. The transformation was incredible! I’m not sure if I am just becoming more observant of my surroundings, or whether dramatic springtime shifts are truly underway. Regardless, I recognize that average temperatures are warming in the Bay. Returning to the quote, I want to append a clause to the end of it: “Keep your faith in all beautiful things; in the sun when it is hidden, in the Spring when it is gone, and in human ingenuity when it is misused”. The original quote by Gilson assumes a climate that is predictable and a humanity that takes for granted the cycle of the seasons. Given the climate-altering trends that are being brought to light by scientists, politicians, religious figures, and global citizens, it is time to redefine beautiful and play a more active role in adapting to changes. The ‘sun’ and ‘Spring’ are beautiful. A universally accepted statement, right? They have been regarded in that light but they might not remain so. With more intense drought events expected in many parts of the world, one might actually hope that the sun is more frequently hidden. That way, with overcast skies, populations in drought regions can at least maintain a sliver of hope for precipitation. Along with more drought occurrences, spring is expected to come earlier, as alluded to above. There have been reports of disease vectors and pests expanding their ranges northward as more habitats become favorable to them. Range expansion can cause habitat disruption, economic loss, and novel public health challenges. Since we cannot control the Earth’s atmosphere and its revolution around the sun, we need to identify that which we can control. To put it simply, it is our values and lifestyles that we can control and define. Specifically, we should reflect upon and redefine some of our values, especially regarding resource usage. It sounds technical, but I am referring to resources like food, water, infrastructure, and energy. Over the last couple of weeks, I had the opportunity attend a couple meetings. 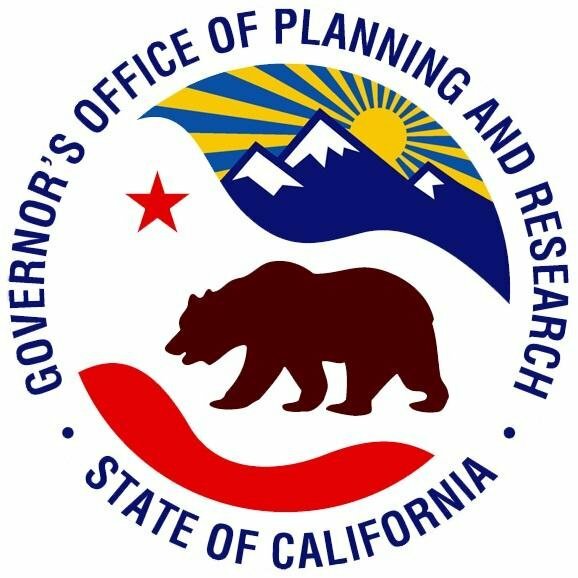 One was the AB939 Waste Program Managers’ meeting, and another was a drought workshop convening multiple municipal, county, and state-level stakeholders. I was invited to present about the Beacon Program at the Waste Managers’ Meeting. I was definitely the odd one out at this meeting, since attendees were either a member of CalRecycle, Republic Services hauling, city staff who worked on waste issues, or waste/recycling consultants. I had originally planned to depart early since it was a two-hour long meeting (it ended up closer to three hours), but I decided to stay and watch the meeting unfold. They discussed the challenge of instituting recycling (don’t even talk about composting) at schools, having accessible CRV centers, receiving more support from CalRecycle and the county waste authority, and maintaining a realistic budget. Needless to say, my decision to remain at the meeting introduced me to a taste of the can of worms that these people have to wrestle with. I realized that at the intersection of all these challenges is still the issue of the ‘use and toss’ lifestyle. It’s so difficult to overcome these challenges, not only due to the lack of funding and the price of oil, but also because we are navigating a framework that encourages the consumption of new products and lacks recycling incentives. If the general public or our leaders could better come to terms with the direness of the waste issue (both in landfills and in our water), then we could start informing better policies and initiatives. My impression is that the efforts to educate the community on waste diversion are primarily coming from top-down or from interest groups like select nonprofits. Even educating schoolchildren about the basics of recycling and composting requires a gargantuan, sustainable effort on the part of teachers, parents, and other volunteers. We need a way to involve a greater portion of the community to start thinking about the way they use and consume resources. One of the resources that California’s population has been squarely faced with is water, due to our five-year long drought. The drought workshop I attended was organized by 4CL, the Contra Costa County Climate Leaders. We had speakers from DWR, SWRCB, CCWD, EBMUD, CCFCD, Drought Interest Group, and local municipal representatives. From the breadth of the speakers’ backgrounds, I learned about the perspectives, efforts, and local initiatives that are being undertaken to manage water reliability. Water conservation is also a hard sell, however. When times are good (e.g. there’s more water than last year, we’re out of the drought! ), consumers don’t feel any urgency to conserve. Even when the state mandates that water usage needs to decrease, a good number of the populace don’t really care. Maybe the solution starts with pricing water more appropriately. At the same time, water is considered an essential resource; it is difficult, if not unethical, to charge above a certain base price for the precious resource. Again, there are many challenges that some of these agencies are facing, which would be partially solved if we, as consumers, regarded water in a more precious light. Doesn’t the fact water is so essential to life make it all the more beautiful? I’ll keep my faith in the preciousness of water, whether it breeds floods or extended droughts.